A new Apple app called Walkie Talkie, which will allow Apple Watch users to communicate directly with each over their devices, will not be available in the UAE, Apple confirmed on Wednesday. The Walkie Talkie app, named after Second World War-era technology that first allowed soldiers to communicate using radio waves, will be rolled out when Apple’s WatchOS 5 software launches this Fall. 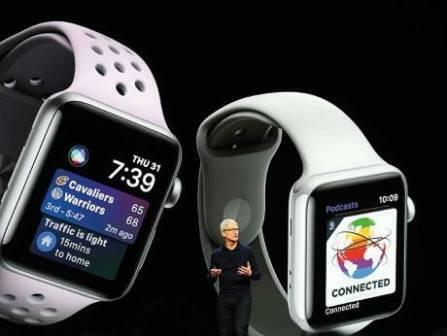 The app was announced on Monday at Apple’s World Wide Developers Conference, and journalists and developers were told that Watch users would be able to talk directly to other Watch users, if those devices were connected to Wifi or a cellular data connection. The ban on third parties offering VoiP services in the UAE, which includes Microsoft’s Skype and others, was first introduced in 2006.The TRA has not commented. Apple on Tuesday also announced that the Watch with cellular data connection would be available in the UAE starting June 15. The cellular-enabled device will require a separate SIM card with a data connection. So far, only Etisalat has announced that will offer data plans but has not yet said what it will charge for the service. Du has not yet made any announcement regarding the new Apple Watch.